Spring has arrived and I have finally started on my truck. The vacuum hoses are such a mess and I have been trying to get them all straight. Million has some wonderful diagrams on his site but non match all the equipment on my truck. 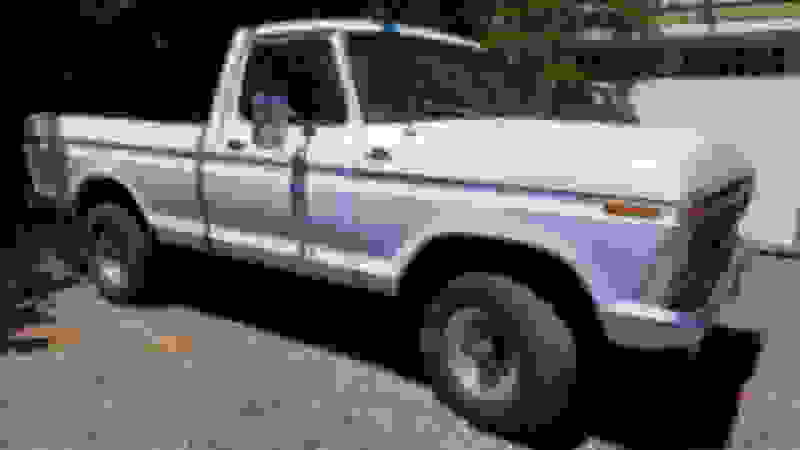 I have a 1977 F150 with 351M and 4-speed. The sticker on the front of the left rocker cover is partially missing but what is left is 100% legible. I am able to make out ? ?81CC and there are some more numbers on there. The decal on the valve cover that has all the tune-up info says that the truck is non-catalyst but it has a catalytic converter. 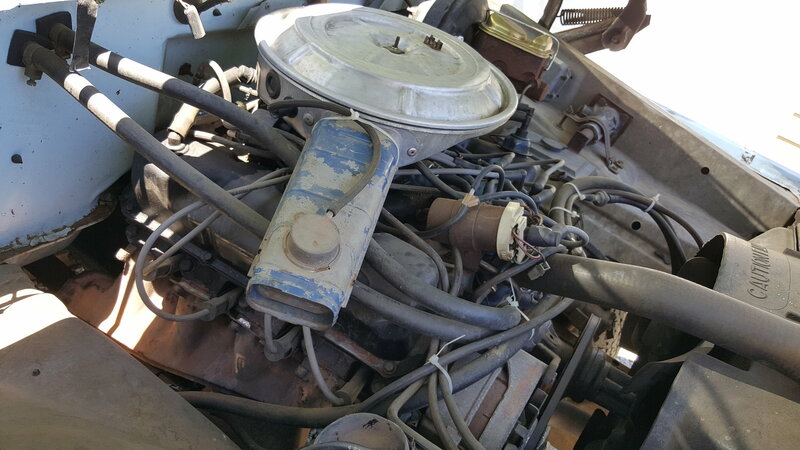 I found one of Millions diagrams that was a 49 state that had similar equipment but when I tried hooking it up, the engine runs bad due to timing issues and the EGR does not work. If someone has the original diagrams for a California truck or knows a better way to get the distributor vacuum and the EGR working please let me know. I prefer to remove as much piping as possible but want to keep the EGR. My EGR setup has the vacuum amplifier. Let's get the one thing first: Where was your truck originally? Is it a genuine CA model? If you still have the door plate, throw up the numbers around the DSO area. I have the diagrams I just don't have them all available. For 1978 there were 23 351M different diagrams. The Calibration code would be an asset. I can scan the actual Illustration of hoses for you if you want ? Last edited by Mil1ion; 03-19-2007 at 03:58 PM. I would appreciate it if you would scan them for me and either e-mail them to me or something. I appreciate your help in this matter. I knew if anyone had one, you would. I love this truck and plan to keep it a long time and would like to get everything hooked back up the way it was originally. It is all there but has been jumbled up because of the trucks long stay in the garage and rats eating them. Have a look at the pics of the truck and see for yourself. Any idea why the rocker cover decal says non catalyst when the truck does have a cat? It is a 100% California truck because it was built in San Jose and the rocker cover decal says "meets US EPA regulation for California heavy duty engines". Bump! Dennis, appreciate the help when you have time! smog pump Dso 72.....thanks to anyone who throws me a life line. Hello All Just Joined for some Help, Desperately looking for my 79 Ranchero GT 351M CA Emissions Vacuum diagrams Please! Its Auto-FMX it has No VECI or any stickers anywhere in the engine bay? Vacuum hose diagrams 78 400?